GLEN DURRANT will return to the bwin Grand Slam of Darts in November after being named among the eight BDO representatives for the Wolverhampton event. 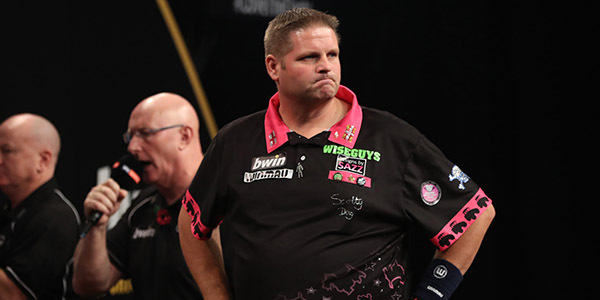 The Grand Slam of Darts sees stars from both the PDC and BDO systems competing live on Sky Sports across nine days in Wolverhampton for the prestigious title, with Durrant heading the list of BDO Representatives. The Lakeside Championship and BDO World Trophy winner in 2018, Durrant will be making his third consecutive Grand Slam appearance, having reached the quarter-finals at last year's event. Durrant will be joined by former Lakeside champion Scott Michell, who making his fourth Grand Slam appearance, and Lakeside Championship runner-up Mark McGeeney, who featured in the 2017 tournament. Dutchman Wesley Harms will also return to the Grand Slam for the first time in four years, having previously competed on three occasions. Newly-crowned World Masters champion Adam Smith-Neale will be making his Wolverhampton debut, along with former Lakeside Championship quarter-finalists Jim Williams and Gary Robson and World Trophy runner-up Michael Unterbuchner. 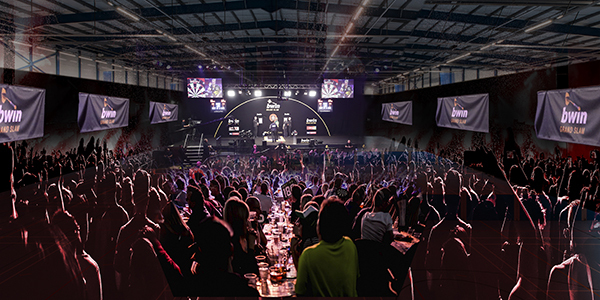 The £450,000 tournament will be held from November 10-18 at the Aldersley Leisure Village (crowd mock-up above) in Wolverhampton, with the first round seeing the 32 players split into eight groups, with the top two in each following the round robin phase progressing to the knockout last 16 onwards. Tickets are on General Sale via www.wolvescivic.co.uk, by calling 0870 320 7000 or in person from the box office located at Wolverhampton Art Gallery. Disabled Access Tickets are available by calling 01902 55 0969. A full list of provisional PDC qualifiers can be found below, with further opportunities for PDC players to qualify remaining for the finalists of the forthcoming Unibet European Championship and bwin World Series of Darts Finals and a final eight places on offer at the PDC Tour Card Holders' Qualifier on Monday November 5. The draw for the 2018 bwin Grand Slam of Darts is likely to be made on Tuesday November 6.